CONTEMPORARY STYLE: The sleek panel bed style adds a modern, eclectic look to your child’s room. It is an easy bed style for kids to make their own bed, too! TWO-TONE COLOR: Light-toned Ash woodgrain and Light Concrete stone colored veneer finishes add an industrial wood/stone combination that coordinates with most color schemes. STORAGE BOX: The foot of the bed has a storage box, ready to hold your child’s toys, stuffed animal collection, or even extra blankets and pillows! 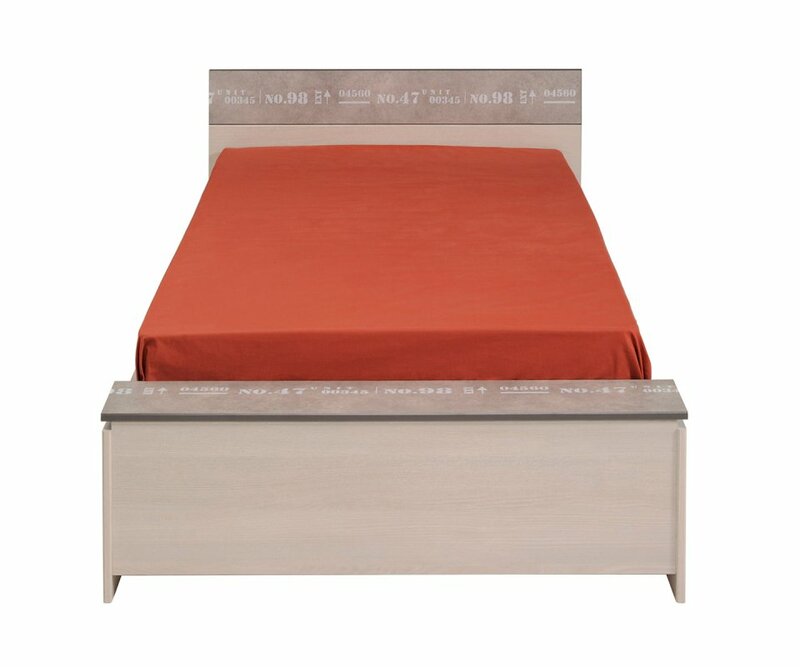 DURABLE AND STRONG: The bed is built from top-quality MDF boards, and is put together with heavy-duty steel hardware, so it won’t wobble and sag with normal use! 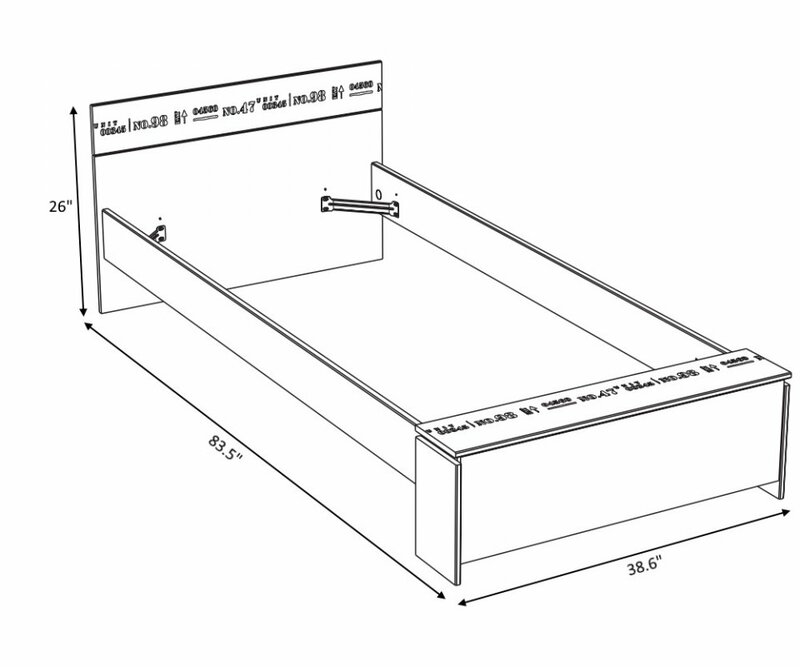 OPTIONAL DRAWERS: For even more space-saving underbed storage, take a look at the optional matching underbed drawers! RoomSmart’s Hipster Twin Bed by Parisot of France has an urban industrial look that is so popular with today’s tweens and teens! The Ash gray woodgrain and Light Concrete colors create a natural wood and stone neutral that is the perfect background for expressing your child’s favorite colors, bands, superheroes, and ideas! 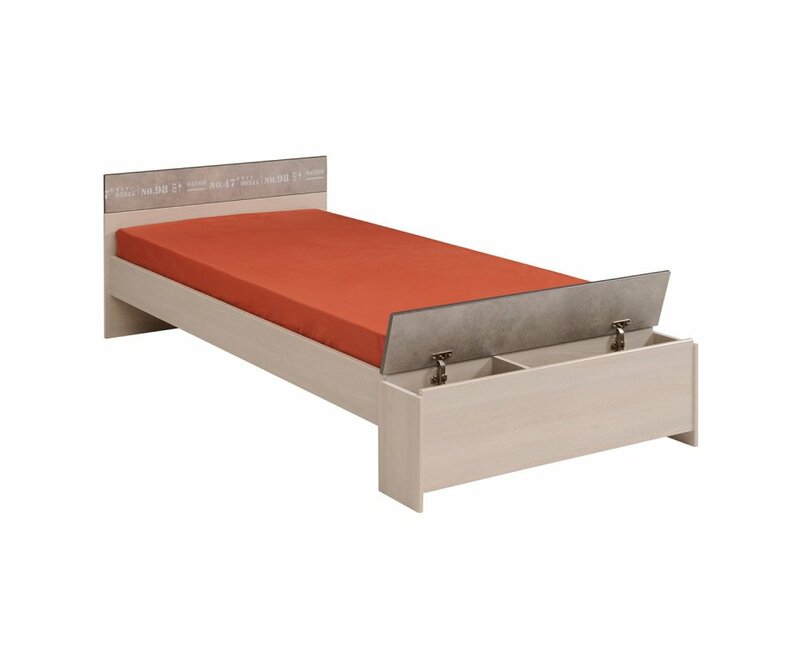 The panel bed style is perfect for kids; it’s easy to make the bed without a fuss, and always looks tidy! 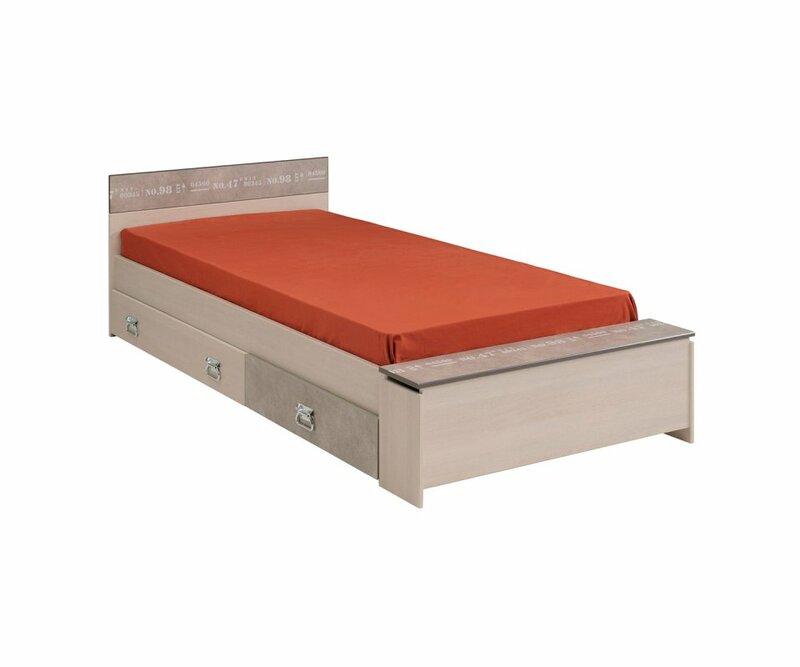 At the foot of the bed is a built-in storage box, ready to hold toys, stuffed animals, books, or extra bedding. 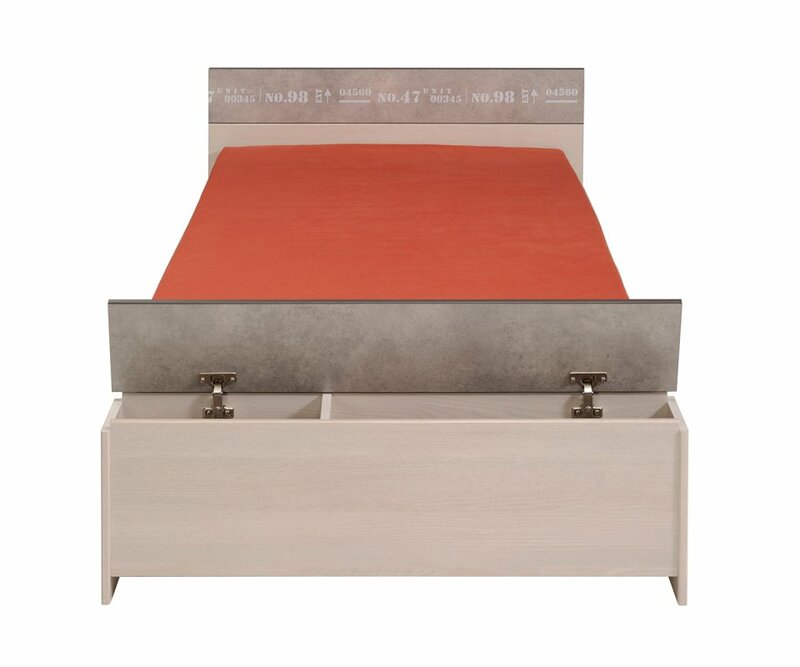 The bed is made to last, built from top-grade MDF boards and put together with heavy-duty steel hardware, and has a durable veneer finish that resists stains, scratches, and fading from UV rays. 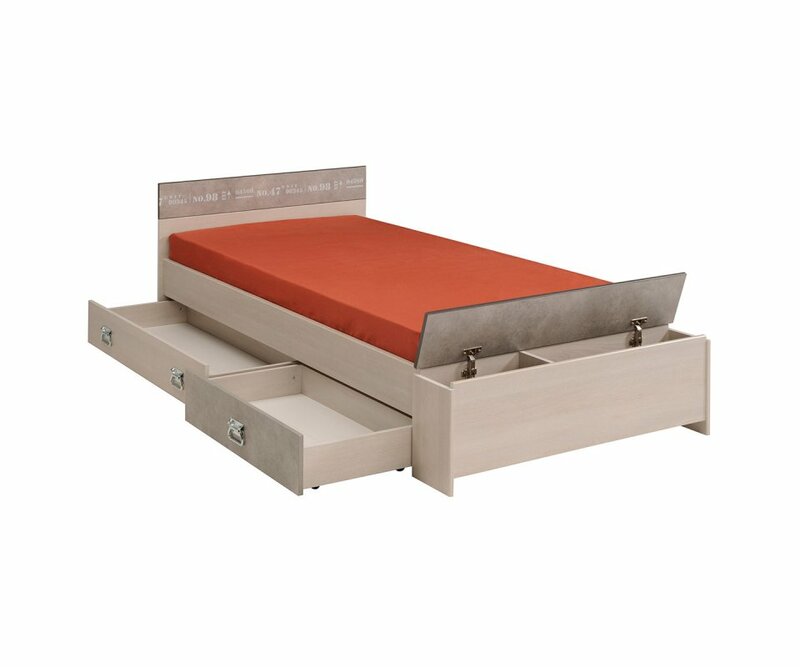 Take a look at the option to add more drawers on the sides of the bed for even more clever storage solutions!